We don’t want to say too much about X-Men Origins: Wolverine (Okay, it wasn’t great), but at least it did well enough for the character to get another chance at headlining a movie. And heck, who doesn’t want that? We’ve already had a couple teasers/trailers so far and now there’s another new trailer that’s arrived for The Wolverine. This one will be attached Fast & Furious 6 in theaters this week so for some of you, this may be the only way to see it. We kid, we kid. Anyway, this trailer continues the tradition of awesome and still makes us excited for the movie. It’s also nice to see a certain, hot, redheaded telepath in this one. Although, we don’t really need Wolverine to be quite so touchy-feely, but I guess you can’t have everything. Check out the trailer after the break. 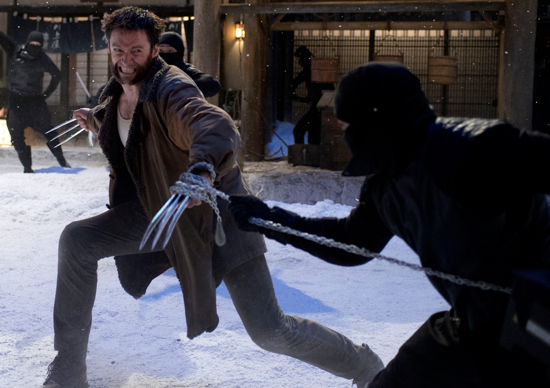 Look for The Wolverine in theaters on July 26. What the Hell is going on? Who’s in what car? Which one is the bad guy? These are the questions that arose during the first fifteen minutes of A Good Day to Die Hard‘s car chase. That the action confuses more than excites is a bad, bad sign. The movie opens in a Russian prison where billionaire Yuri Komarov (Sebastian Koch) is awaiting trial for…um…potentially snitching out the bigwig Chagarin (Sergei Kolesnikov). From the outset, it’s not clear who is actually the bad guy — Chagarin explodes when Komarov refuses to give him a certain file, so maybe he’s the bad guy, but then Komarov is a billionaire — and one who plays chess in prison at that — doesn’t that automatically mark him as the bad guy? But then we switch to a night club, where Jack (Jai Courtney) assassinates Anton (Roman Luknar). Is Jack the bad guy then? Apparently not, since we’re now in America, where John McClane (Bruce Willis) is at the airport, heading to Russia to bail out Jack, who’s his son. Evidently Jack works for the CIA, which now condones public killings. The X-Men film franchise has undergone a roller coaster of quality. Like any good roller coaster there are ups and downs, and some times wicked loops, and right now the franchise is about to hit one of those pretty big, gut churning upside down loops. Matthew Vaughn’s First Class was welcome return to quality, but was a tad confusing in the continuity department. It was clearly a prequel, and Fox remains steadfast in the concept that the whole franchise fits together. So people have been wondering what, if any, steps the sequel will take to help bring things together. 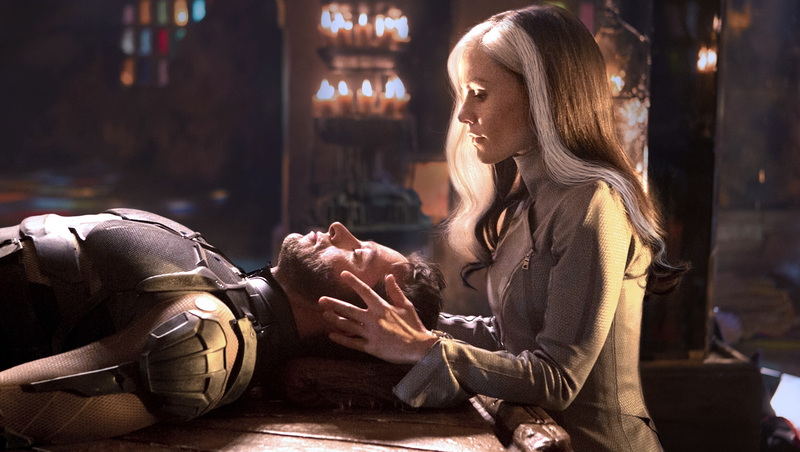 Recently producer Bryan Singer confirmed the film’s title, which gives us a very good indication of where potential connective tissue can arise to properly connect First Class with the rest of the franchise. The new X-Men film will be known as X-Men: Days of Future Past. For those uninitiated in X-Men lore, Days of Future Past refers to a story written by Chris Clarmont that revolves around an alternate, dystopian future and the attempts of one mutant from that time to travel backwards to stop an assassination. In other words, a perfect template for a film set in the past to tie in with a set of films that are perpetually set in the ‘not to distant future’. What makes this even more perfect is that Days of Future Past doesn’t really need to be a perfect adaptation. The story is very malleable so the filmmakers have some wiggle room to change things as they see fit to make a good movie. A luxury Fox hasn’t had in the past when they tried to change the Galactus and Phoenix story arches. Stay connected to The Flickcast as we will be on top of any new updates on the next X-Film in the coming months. Ang Lee has never really been known for visual flair. His films are always beautiful, but his best works always seemed to have a quite beauty to them. The major exception of course being Crouching Tiger, Hidden Dragon, but it seemed for a while that we might not get another visual stunner from the master filmmaker. 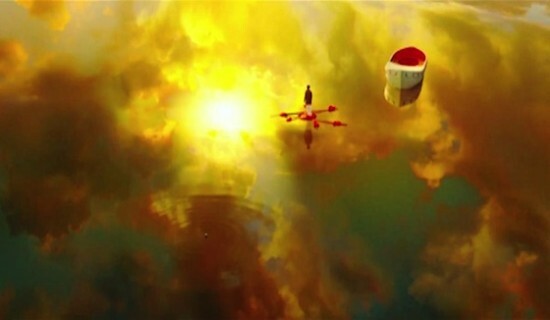 It is really starting to feel like 2012 is going to end up as one of those great cinematic years, and if this trailer is any indication Life of Pi might be one of those marquee titles that headline a long list of quality films. Check out the gorgeous trailer after the jump.